WASHINGTON — Never mind the chants, the roars, the repetition. 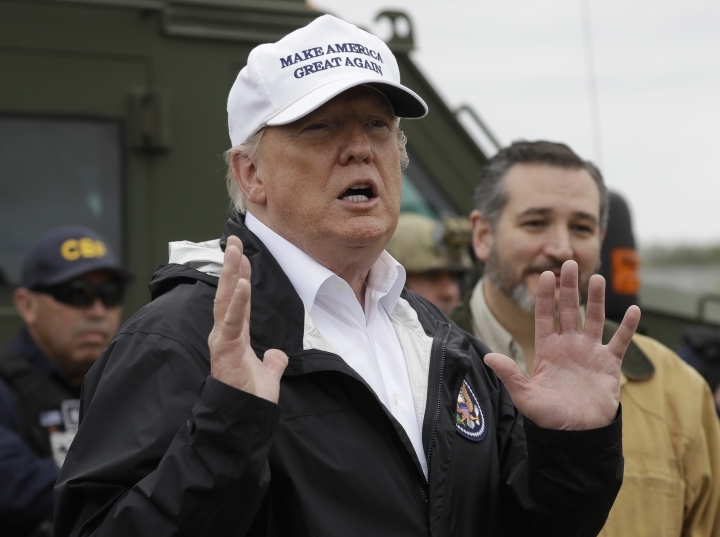 President Donald Trump acknowledged this past week he didn't mean it when he told crowds over and over that Mexico would pay — actually pay — for the wall. Mexico will pay "indirectly," he now says. To support that claim, he indulged in creative accounting over the course of days marked by a prime-time speech, a trip to the border and a barrage of tweets painting dire threats from the south. 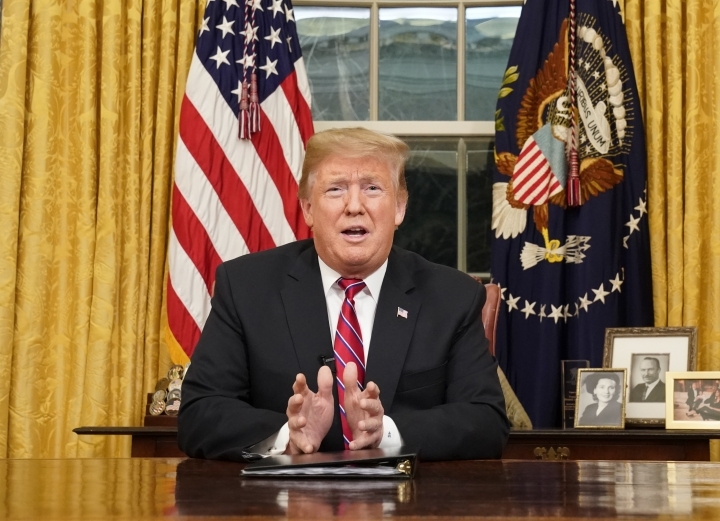 He said the wall will "very quickly pay for itself" by reducing the U.S. drug problem, and pay for itself "many times over" by the benefits he predicts will accrue to the U.S. economy from an updated trade deal with Canada and Mexico. Neither of these supposed sources of wall payment dings Mexico's treasury or imposes any cost resembling what his campaign proposed. Back then, he wanted Mexico to hand over up to $10 billion in a single payment or pay equivalent costs through higher tariffs, visa fees charged to its citizens or other punitive measures. Mexico has refused to pay anything toward a U.S. wall. TRUMP: "Over the years thousands of Americans have been brutally killed by those who illegally entered our country and thousands more lives will be lost if we don't act right now." — remarks Tuesday. Multiple studies from social scientists and the libertarian think tank Cato Institute have found that people in the U.S. illegally are less likely to commit crime than U.S. citizens — beyond the crime of illegal entry — and legal immigrants are even less likely to commit crime. A March study by the journal Criminology found "undocumented immigration does not increase violence." Associated Press writers Colleen Long, Jill Colvin, Catherine Lucey, Zeke Miller and Kevin Freking in Washington and Elliot Spagat in San Diego contributed to this report.